Markhouse Drama Club – New Website. I hope that you will have, by this time, had an initial look at the new website and feel that the wait has been worthwhile – the decision to develop this was announced a good while ago but it has, perhaps inevitably, taken a bit longer than was originally envisaged. However, as was mentioned in the ‘announcement’ email, the site is by no means complete – so please let us know your views about its format and the content so that we can take account of these as we plan for the next phase – hopefully with a few more ‘features’ and certainly with a good deal more memorabilia/content – including a really significant programme from December 1964 which, thanks to some attic rummaging by Cleve, has just been re-discovered!. And – please let us have any personal memories that you would like to see included and, of course, any further scripts, photos and/or programmes that you can come across. All the contact details are on the site. You may recall from earlier Newsletters that we managed to contact Mick Everett, one of the original members, and found that he was still very active within the performing arts; also that this involved being a frequent participant at the Annual Punch & Judy Fayre held in St John’s Church in Covent Garden – including last May! Norma, Phil and myself decided to brave the massed crowds around Covent Garden on a Sunday and, amid a long line of continuously performing Punch & Judy Shows, we eventually managed to find Mick – one of the few participants not wearing a funny hat and long nose – as evidenced below. It was good to meet up after some 50 years or so – and, had our timing been slightly better (5 minutes earlier) we would also have met up with John Jones – who had also taken the opportunity to visit and catch up with Mick. Alas – although scouring the surrounding area, John was not to be seen, but given the fairly tropical temperature that day, there was some thought that he had probably retreated to a nearby hostelry. A great pity – it would have been a fantastic double whammy! It was also good to hear Mick shed some more light on the early days of the Drama Club and, in particular, that it had actually started as an After School Club – during the time Mr Easton was the Head Teacher. So, we now know that the start date was around 1955 – not 1957 as initially thought. Mick gave an interesting perspective of those early days and it seemed that the positive encouragement that the DC received during most of ‘our years’ as members (under L A Smith), may not have been quite the case when it all started? My only disappointment – Mick wasn’t wearing his Macbeth costume from ‘Spot the Lady’ – the one where I recall he managed to make the breastplate fall off – at every performance! It is always good to make contact with ‘new’ former members and thanks to Val and Elaine putting me in contact, I had a really enjoyable telephone conversation with Enid Manore (nee Moorshack) – one of the early members alongside her older sister Iris. Iris was most probably one of the ‘After School Club’ members that Mick Everett describes and I recall a really passionate post performance speech she made – extolling all the good things about being a member of the drama club – so I joined! This may well have been after ‘Murder in Motley’, in which she was the Stage Manager, with Enid one of the cast. Both are featured in the website memorabilia for this play. And, just in these last week or so, Lesley Tyson (Nee Morris) – who I think was probably ‘there at the end’ (of the Drama Club) – has sent on her contact details and so hopefully more news of her – and perhaps her group of DC friends, in due course. Just as the last Newsletter (in January) was being sent, the news arrived about Ray Aylott and, as a result, this was virtually the only information that it was possible to pass on at that time. Unfortunately, since then, this has not been the only sad news we have received, as we also heard of the loss of Keith Elliott – one of the very original former members of the Drama Club and, most recently, that of John Cade. I was not at the Drama Club when Keith was a member, but I knew him well as he lived just a few doors away from me. Being a few years older than the rest of us ‘lads’ in that area, Keith was our ‘leader’ – the one we looked up too and who ‘looked after’ us – especially in our early days at Markhouse where he was already well established and respected. I liked Keith a lot and, as a youngster, I recall him as a friendly and helpful person who never took advantage of his age or ‘position’ with us – he was good fun and organised our interests and activities around our ‘club house’ – more accurately identified as ‘Pop’s Wall’ – the low wall we all sat on next to Pop’s Corner Shop in Colebrook Road. I was really sorry that I was not able to have the opportunity to meet up with him again in person – and to renew his acquaintance all these years on. 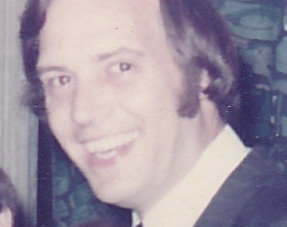 Ray was, of course, at the other end of the Drama Club membership spectrum and, as with Keith, Elaine and Maxine, he was part of a ‘family connection’ – with his older brothers, Gerald and Gordon already being established members by the time he was old enough to join. Gerald and Gordon were amongst my closest friends, at both the school and the Drama Club, and so I got to know Ray quite well before he inevitably followed in their footsteps – although when I saw him late last year he told me that the only bit he didn’t enjoy in ‘tagging along’ with our group, was that when it came to the ‘football extravaganza’s in St James Park’, he was always being ‘put in goal’. I think I told him that it was undoubtedly the ‘cost’ of ‘access’ when your 5 years younger! 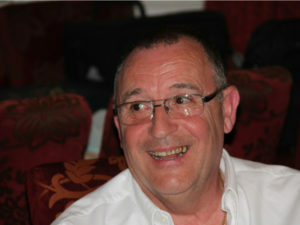 I recall Ray having the ‘required’ sense of humour to be included ‘in’ the group and it was no surprise, all these years later, to learn that it had developed even further – although I suspect that the signs were already there from that certain incident of ‘Alfred The Great’s exploding cake in ‘1066 And All That’ – which nearly deprived us of one member and resulted in a laundry bill from all those sitting in the front row! Something to do with the seal of the explosive device having been tighten too far – I believe! A fuller version of this ‘episode’ is likely to feature in the website ‘Memories’ page in due course – including the ‘naming’ of a number of others who may have been involved! However – what I really want to say in these last few lines about Ray, is how much I admire what he had become some 50 years on from those football matches – his commitment to his family, to serving his community as a Community Support Officer (especially with his positive approach to young people), his continued good humour and to his enviable strength of character – those who saw him over his last year will know why I have mentioned this. One of the ways in which I will fondly remember him is of how he ‘comes across’ in the documentary film of the CMMF Activity Project that he initiated. If you have the opportunity, go onto the YouTube link for Harwich and Dovercourt High School – ‘Harwich Students produce anti knife crime video’ @ http://youtu.be/WhrdtF8dxCs – or look at it on the Website – under Projects – ‘Save Lives’. I think you will then see why I have mentioned it here! John was a long serving member of the Drama Club and brought a great deal of fun and enterprise to it – some of the latter via his undoubted ability to keep persuading his mum (Lillian) to contribute her creative skills to the cause by producing a long list of magnificent, yet unbelievably low cost, costumes! Other areas of enterprise included, somehow, and from somewhere, the acquisition of the Panel Van that shipped all our Panto Scenery to Trueloves School in Ingatestone – and driving back again in a ‘tornado’ stricken A12 – much to John’s exhaustion, and everyone else’s amusement – and indeed admiration, as he returned everything intact through the school gates in the wee small hours! After leaving the Drama Club and Walthamstow, John and Brenda moved ‘west’ and eventually settled, and brought up their family, in Trowbridge – where his children and his grandchildren – clearly the joys of his life – still live. It seems that it was not long before John renewed his Sea Cadet interests and he eventually became the Commanding Officer of the Unit within the town – leading them with his inbuilt enthusiasm, sense of humour and a commitment to doing the very best for those young people involved. It is also clear from what I was told by a number of those who had been cadets under John’s leadership, that he fulfilled this role in the same way as he had experienced Cyril running the Drama Club – challenging the young people when appropriate, supporting them when needed and above all seeking to help them fulfil their individual potential. By the sound of it, he may also (again like Cyril) have thought that he was running a marriage bureau alongside his more nautical responsibilities – including for his son and future daughter in law! It also appears that John was very much into cine photography and a DVD, made from his collection of old movies, was playing at the Reception after his funeral. This included some early footage of himself, along with Gordon and Ray Aylott – all members (and eventually Officers) of the Sea Cadet Unit that was part of the Marsh Street Youth Centre – as well as being members of the Drama Club. Brenda and her family have agreed that we can take some extracts from the DVD to link to the new website via YouTube and, it is hoped, that this will be ready early in the New Year. 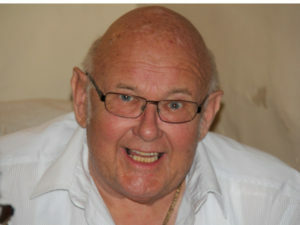 John clearly loved his role within his family and those within it, he was very good fun to be with – and a reliable and good loyal friend to those of us within the drama club. I wished that we had managed to have got the website out a deal earlier, as I can just imagine the joy that John would have got out of showing his grandchildren a bit more of his teenage years – as well as the pictures they had already seen of him as Friar Tuck – and in his Cadet Uniform, with Rifle, outside Walthamstow Town Hall!